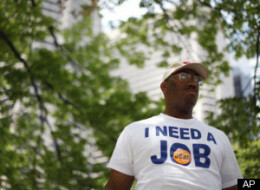 Can The Jobless Become A Political Force? Labor activists are hoping the nation’s nearly 15 million unemployed can be a political force in the upcoming midterm elections. “We’re convinced that the jobless, the unemployed, are the swing vote of the 2010 midterms and if they know who their tormentors are, they will swing really hard left,” said Rick Sloan in an interview with HuffPost. To that end, Sloan, who is a spokesman for the International Association of Machinists, started a “Union of Unemployed” with a website that he says gets 35,000 visitors a month. He created a web ad and is organizing a pre-rally for unemployed folks before the One Nation Working Together rally on Oct. 2. He figures that if the unemployed are properly motivated, their votes could help Democrats win in two dozen House races and a half-dozen Senate races. HuffPost senior polling editor Mark Blumenthal says Sloan’s targeting the right people but he faces tough sledding. “They’re not fired up and they’re not ready to go,” Blumenthal added. Sloan is right, however, that unemployed voters prefer Democrats. Peyton Craighill, a pollster for Democracy Corps, told HuffPost that among the 18 percent of likely voters who’ve been unemployed in the past year, 47 percent would vote for Democrats and 42 percent for Republicans. Among the 13 percent who said they’d lost their jobs in the past year, 50 percent favored Democrats and only 36 percent favored Republicans. 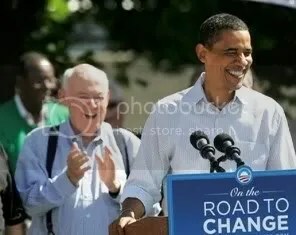 Working America, the community organizing arm of the AFL-CIO, has also been working to motivate victims of the recession. The group launched its Unemployed Voter Project in August with a focus on 100,000 of its own members who’ve lost their jobs. The campaign has continued since then with a series of tele-townhall meetings (one of which, organizers said, was attended by 23,000 people who dialed in) and postcard-writing sessions. “These are people who are quite motivated to see candidates in office who fight for jobs,” said Working America spokeswoman Aruna Jain. And the unemployed are organizing themselves. Last week, laid-off activists created an “American 99ers Union” for people who exhausted the 99 weeks of federally-funded extended benefits available in some states. Their goal is a long shot: to encourage Congress to give them additional weeks of benefits.